How do you see the future for Northumberland? The proposal Local Plan for Alnwick. There are two weeks left to have your say on the draft Local Plan for Northumberland. There are 12 main towns designated in the document and here are the details of the three in the north – Alnwick, Amble and Berwick. Many of the detailed policies for the town and its surroundings have already been set out and agreed through the Alnwick and Denwick Neighbourhood Plan, which now forms part of the development plan for Northumberland as a whole. Local Plan proposals for Berwick. The new Local Plan has not changed these policies and proposals but sets them in the wider context of Northumberland, as a living, working county. The neighbourhood plan did not give Alnwick settlement boundaries and, at the town council’s request, the Local Plan does not draw them. However, it sets a policy that supports development within the built-up form, or immediately adjacent to settlements without defined settlement limits, if it is of an appropriate scale and it can be demonstrated that it does not adversely impact upon the character of the settlement. Alnwick will continue to act as a key hub for housing, employment, education, healthcare, retail, transport and tourism. The town will be the main focus for development to underpin its social, economic, environmental and cultural regeneration. The neighbourhood plan has allocated new housing and employment sites and these count towards the wider county land requirements. The key to the plans. The proposed requirement for additional homes between April 2016 and March 2036 is around 1,100 over the plan period (55 per year). This figure is accounted for through allocations in the made Alnwick and Denwick Neighbourhood Plan and sites completed, with permission and minded to approve applications. The Local Plan endorses the approximately 10 hectares of additional employment land that has been allocated as part of the made Alnwick and Denwick Neighbourhood Plan. This land will add to the range of sites available for employment uses, following the success of some of the town’s longer-established employment areas. Alnwick’s town centre falls into the top level of the hierarchy of town centres, being a ‘main town – larger centre’ with a good level of retail provision along with town centre community facilities. It acts as a community hub for a large population covering the town and its wide rural hinterland. The neighbourhood plan has defined a town centre boundary and key frontages. It recognises that there is limited scope for retail and leisure expansion within the historic centre, proposing a corridor approach to how retail development might happen in the future. These policies accord with the approach that the Local Plan is now proposing. Together, these policies should protect the vitality and viability of the centre. The town is constrained by a strong historic core and strong surrounding landscapes, making future expansion of housing employment and services challenging. The made Alnwick and Denwick Neighbourhood Plan is a comprehensive plan containing proposals and allocations designed to address the town’s needs. Ongoing dialogue with the town council has ensured that the two plans are successfully aligned. While the town has a dual-carriageway bypass, there remains an issue of the lack of a dual carriageway on the A1 further south which adds to its remoteness from Tyneside. The Local Plan supports the scheme to dual the road, including further to the north. There are issues with some highway junctions in the town itself, where the A1068 meets the A1 – to be further investigated through the infrastructure delivery plan. The Local Plan also supports the possible reopening of the Aln Valley Railway, which would not only provide a new visitor attraction but would also open a transport corridor between Alnwick and the East Coast Main Line at Alnmouth. Amble will continue to act as a key hub for housing, employment, education, healthcare, retail, transport and tourism. It will be the main focus for development to underpin its social, economic, environmental and cultural regeneration. The proposed requirement for additional homes between April 2016 and March 2036 is around 540 over the plan period (27 per year). No additional employment land allocations are proposed over and above existing available land as the town has a good supply of already serviced employment land. Amble’s town centre falls into the second level of the hierarchy of town centres, being a ‘main town – smaller centre’ with good local retail provision along with a reasonable range of town-centre community facilities, serving the town itself and with a modest rural hinterland. This role along with its vitality and viability as a centre will be protected through policy. The closure of Northumberland Foods has had an impact upon the community and supply chains locally. Amble continues to be an important coastal community in social and economic terms, retaining connections with the sea for employment and commerce. It provides key opportunities as a visitor attraction at the southern end of the Northumberland Coast AONB. Access to waste recycling facilities is currently poor which the Local Plan seeks to improve. Amble is close to a number of international nature conservation protections running along the coastal and estuary areas, which could constrain some forms of development. It is proposed that Berwick continues to act as a key hub for housing, employment, education, healthcare, retail, transport and tourism, and be the main focus for development to underpin its social, economic, environmental and cultural regeneration. The Local Plan does not define a settlement limit for the town, as it is the intention of the Berwick and Norham and Islandshire Neighbourhood Plans to do this. This will have the role of containing the spread of development and maintaining the town as a sustainable settlement. The proposed requirement for additional dwellings between April 2016 and March 2036 is around 610 over the plan period (31 per year). In order to achieve this target, several sites are proposed for allocation in the Tweedmouth, East Ord and Scremerston areas, amounting to somewhere between 300 and 400 of the required dwellings, (depending on detailed site considerations), with the remainder coming from completions and sites with permission or minded to approve applications. No additional employment land allocations are proposed over and above existing available land. 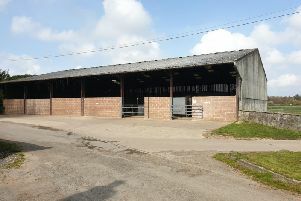 The town has large industrial estates with a relatively large supply of land in relation to indicators of market demand. This includes the Ramparts employment area, (which forms part of an Enterprise Zone that has added incentives for employers to locate there). The town’s port is important to the wider area; it is capable of handling larger freight vessels and is considered to have an important role in increasing exports and catering to the visitor industry. Berwick town centre falls into the top level of the hierarchy of town centres, being a ‘main town – larger centre’ with a good level of retail provision along with town centre community facilities. This role, along with its vitality and viability as a centre, will be protected and enhanced through policy. The centre has lost a degree of vitality and viability due to a number of out-of-centre retail developments in recent years. The Local Plan seeks to address this through its approach of boosting quality and choice of services in existing market town centres. While its catchment extends across the border, this border area contains a number of competing market towns of similar size. The town would therefore benefit from significant additional investment in its centre. While the town has a bypass, there remains an issue of the lack of a dual carriageway on long stretches of the A1 further south which adds to its remoteness from Tyneside. The Local Plan supports such a scheme. Berwick is influenced by the Edinburgh City-Region, which is the focus of a strategic growth strategy. Proposals for expansion in the central Scottish Borders and the re-opening of the Waverley line could also have implications for the social and economic well- being of the town. The town’s coastal location means that it lies close to a number of international nature conservation protections running along the coastal and estuary areas. The port, the second most important in the county, needs to be protected in terms of its operational needs, including the Tweed Dock minerals transportation facility.